Medi-Evil™ available at Dr Shox are a UK based brand that solely focus on making the finest, most innovative performance products available on the market. We source only the highest quality ingredients for our products and are at the forefront of performance sports nutrition product development. All of our products are tested thoroughly on average gym users, serious competitive bodybuilders and elite athletes who’s feedback is critical to the overall development of every product. 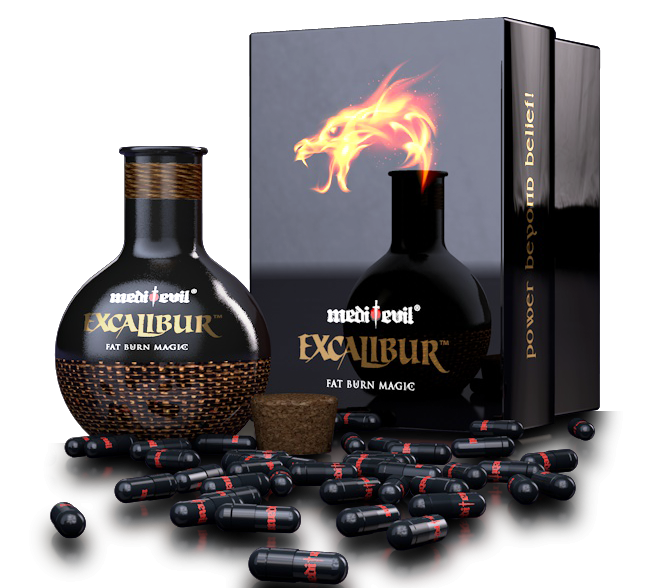 Our first product Excalibur™ was a huge success from the minute it launched as a pioneering thermogenic weight loss aid, which allowed the user to control cravings and sustain mood whilst participating in a healthy exercise and diet program as well as lose unwanted body fat. The want to snack, and as a result the deflation of mood are the most common reasons for ending such a program. Excalibur™ also was one of the first products of its kind to offer a fully gelatin free product which is suitable for vegetarians, vegans and most religious groups. Medi-Evil™ are now excited for the launch of our market leading performance strongest pre-workout product Medi-Evil Berserker™ which was developed over 12 months to ensure it out performs any other product of its category. Athletes who were critical in the development of the product commented on being able to train for far longer than usual with out feeling fatigue. Many other users realized greater amounts of repetitions and strength gains. Medi-Evil Berserker™ is the best pre-workout for athletes and fitness professionals alike who will find this to be the most effective pre-workout product due to the premium ingredients used. Medi-Evil Berserker™is definitely one of the strongest pre-workout supplements you can find online. Fatigue toward the end of a prolonged sporting event may result as much from dehydration as from fuel substrate depletion. Exercise performance is impaired when an individual is dehydrated by as little as 2% of body weight. Losses in excess of 5% of body weight can decrease the capacity for work by about 30%. Sprint athletes are generally less concerned about the effects of dehydration compared to endurance athletes. However, the capacity to perform high-intensity exercise, which results in exhaustion within a few minutes, is reduced by as much as 45% by prior dehydration. Although sprint events offer little opportunity for sweat loss, athletes who travel to compete in hot climates are likely to experience acute dehydration, which persists for several days and may be serious enough to have a detrimental effect on performance in competition. Dehydration not only corresponds to water intake but as an amalgamation of electrolytes as well as water/ fluid intake. Protein is a component of diet that is primarily responsible for the recovery of muscles after intense or prolonged exercise. Proteins are made up of Amino acids, which are the body’s building blocks essential for growth and repair. Amino acids are broken down into essential and non-essential amino acids. Non-essential amino acids are synthesised by the body whereas essential amino acids are taken from various food stuffs from diet. It is important to know that vegetarian or vegan diets that include protein are not usually ‘complete proteins’ complete protein are proteins that include a complete amino profile. Carbohydrate is a key fuel source for exercise, especially during prolonged continuous or high-intensity exercise. The body stores carbohydrate as glycogen in the muscles and liver, however its storage capacity is limited. When these carbohydrate stores are inadequate to meet the fuel needs of an athlete’s training program, the results include fatigue -, reduced ability to train hard, impaired competition performance, and a reduction in immune system function. For these reasons, athletes are encouraged to plan carbohydrate intake around key training sessions and over the whole day according to their carbohydrate requirements as an exercise fuel. Carbohydrate requirements are dependent on the fuel needs of the athlete’s training and competition program. Exactly how much is required is dependant on the frequency, duration and intensity of the activity. Since activity levels change from day to day, carbohydrate intake should fluctuate to reflect this. On high activity days, carbohydrate intake should be increased to match the increase in activity. This will help to maximise the outcomes from the training sessions and promote recovery between sessions. Alternatively, on low or no training days, carbohydrate intake should be reduced to reflect the decreased training load. A clever way to adjust carbohydrate intake from day to day is to schedule carbohydrate-rich food choices at meals or snacks around the important training sessions. As the sessions increase in their carbohydrate demands, so should the athlete increase their carbohydrate intake before, during or after exercise. What people consider the best pre-workout supplements, are not necessarily the best in terms of performance. The global pre-workout market is currently dominated with strong pre-workout supplements which are very stimulant heavy, giving the consumer the impression that the product is working for them on some level but in reality they provide only a short term psychological gain, with very negative side effects such as a debilitating crash and terrible jitters while training. Strong pre-workout supplements can also contain banned or dangerous ingredients, which can cause illness or damage to the brain in particular. 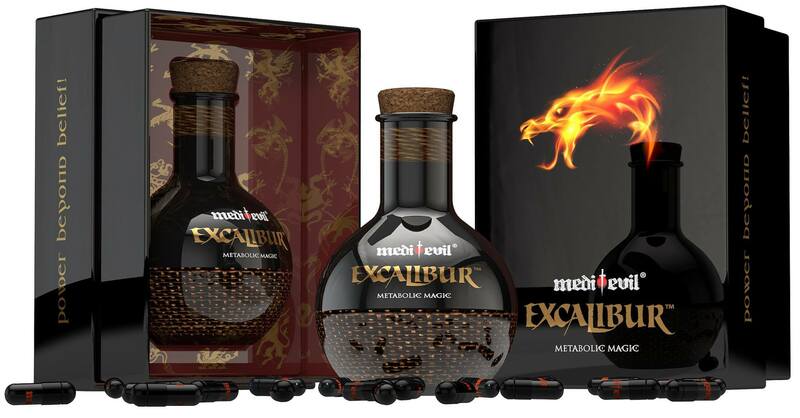 Medi-Evil raises the bar yet again by focusing more on the energy effects of the product as well as nutrient delivery and pump, which are long lasting and taper off nicely producing far better recovery benefits. The product itself was developed alongside professional and amateur athletes to ensure the formula is fit for purpose with guaranteed results whether you use a standard serving or go for the heavier 2 scoop option. With 50 serving per container Medi-Evil Berserker also tops the competition by offering great value for money. Med-Evil Berserker also uses natural fruit flavours with no packing agents or fillers unlike most cheap pre-workout supplements. Creatine is one of the most researched supplements on the market. However, there are many different types and sources of Creatine available. Creatine monohydrate is the gold standard of Creatine. Creatine Monohydrate is the only Creatine to be consistently tested free from impurities and by-products, so is guaranteed to be a safe source of Creatine. Creatine is used by a wide range of athletes and trainers. Supplementation increases the body’s natural Creatine pool and research has shown it to increase the training effect and performance in resistance training, speed sports and field sports. Hydration is absolutely key to physical and mental performance and should be monitored as much as possible especially during hot weather or prolonged events. Looking at the colour of your urine is the best measure for this. The more highly coloured your urine the more de-hydrated you are generally. The consumption of around 200ml fluid per hour is a minimum requirement during events, as well as making sure you are also incorporating electrolytes or salts to maintain fluid uptake. Also note that coffee and tea although they are heavy in fluid also contains caffeine. Caffeine is a diuretic which results in additional fluid loss through urination. Ensuring that you are prepared for intense exercise and competition starts approximately 1 week before the day, and is known as ‘Carb loading’. For this you should be looking to incorporate additional carbohydrates into your diet in the forms of Pasta and Rice for example with each meal for optimum race day preparation. Carbohydrate intake during competition is imperative for maintaining performance and preventing fatigue. Carbohydrates can be best ingested in the forms of carb drinks, gels and snack bars such as flapjacks. They should be consumed so as not to feel bloated or ‘Full’ so as not to take too much blood supply from the muscles. Post race/ event recovery begins the moment you park up your bike. In nutritional terms the best period for recovery is the hour just after exercise, known as ‘The golden hour’. During this time your body will take what ever it needs from your diet and will throw away the rest, which is why it is best to take in ‘Quality nutrients’ before consuming multiple bacon sandwiches or burgers. Protein recovery shakes are an ideal way of getting high quality nutrients into your system.